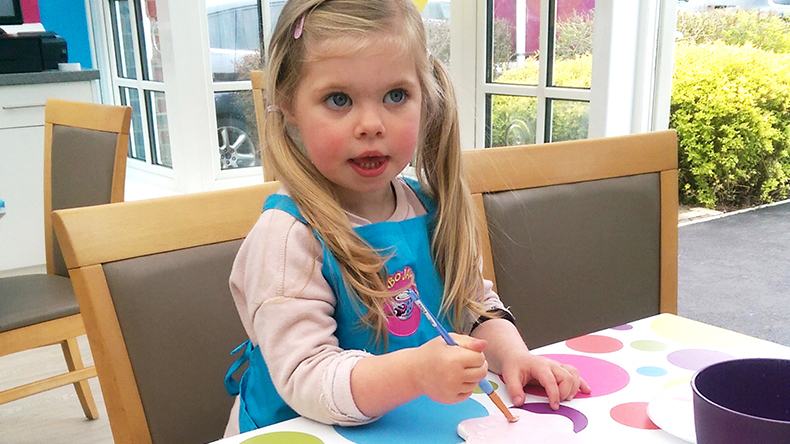 Welcome to Mambo Jambos, our Pottery Painting Studios are available at Squire’s Washington and Badshot Lea. It’s great place to have a coffee, relax and create your own unique pottery piece. Each piece is individually priced ranging from £4 up to £50, plus a studio fee of £2.50 covering equipment, paints, glaze & firing. 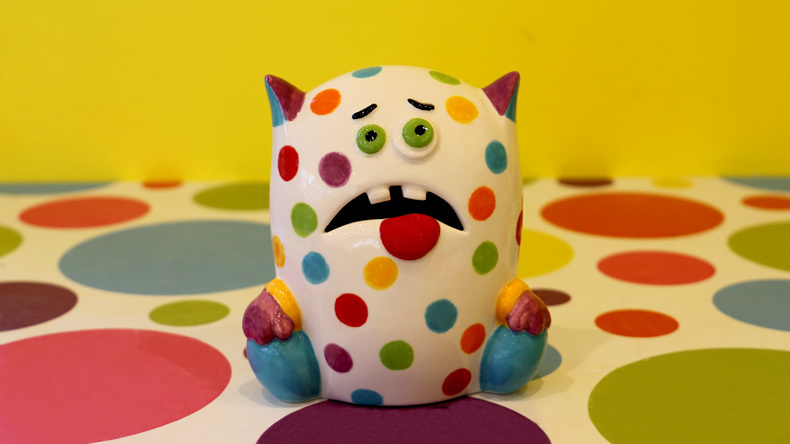 Once painted, your unique design will be glazed and fired, ready for you to collect within 14 days. We advise to book in advance, especially if you are a large group and during the school holidays. 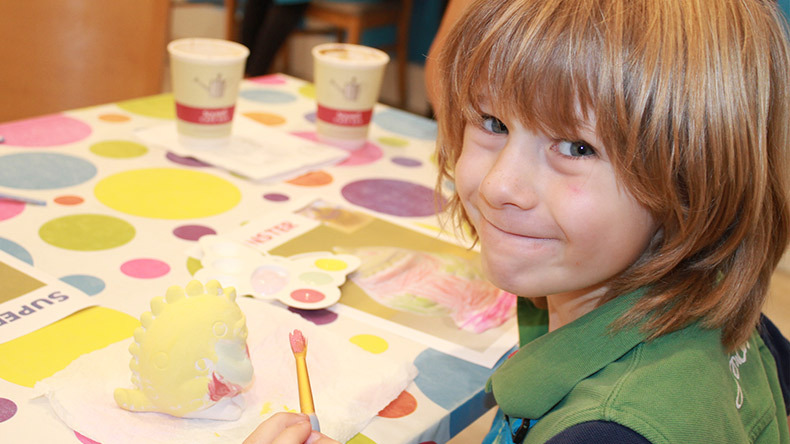 Capture your child’s hands or feet in clay to remind you exactly how small they once were! Our experienced staff will imprint your hand or foot into soft clay, allowing all the wrinkles and creases to be preserved forever. The clay will then be allowed to dry for up to two weeks, before being fired. Then the imprint will be hand painted in your chosen colour before being glazed and re-fired. Your imprint can be left as a plaque, strung with ribbon or placed into a handmade frame. Prices start at £20. Booking is essential. This process takes 8 weeks. 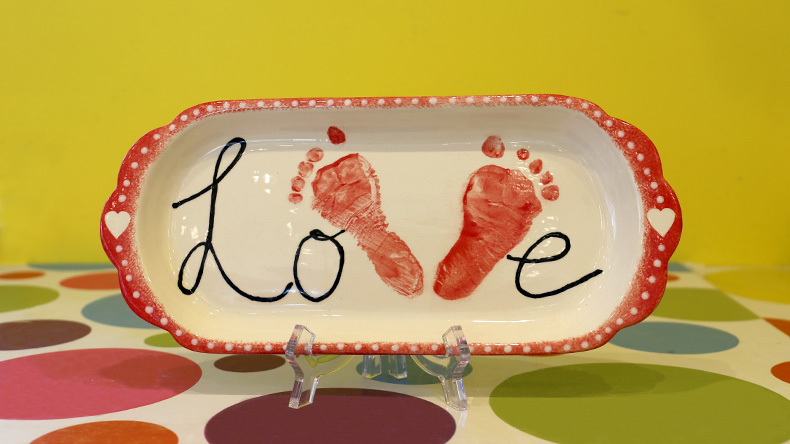 Paint your child’s hand or foot and leave a wonderful print on your chosen piece of pottery! Choose tiles, mugs, plates, trinket boxes, door plaques or vases for your print, and use special writing pens and tools to decorate you items with. The possibilities are endless! If you would like to come as a group please book a table in advance. We offer a group discount on our studio fee for groups of 6 or more painters. Bring your family and friends along for a great day out! We offer a reduced studio fee of £1.50, for bookings of 6 or more painters. Ideal for School trips, youth groups, hen nights, Brownies or team building events. We can organise to supply nibbles and drinks, you can have lunch in our Cafe Bar or you can bring your own. Learn how to create your own unique pottery pieces using a range of techniques at Squire’s Badshot Lea only. 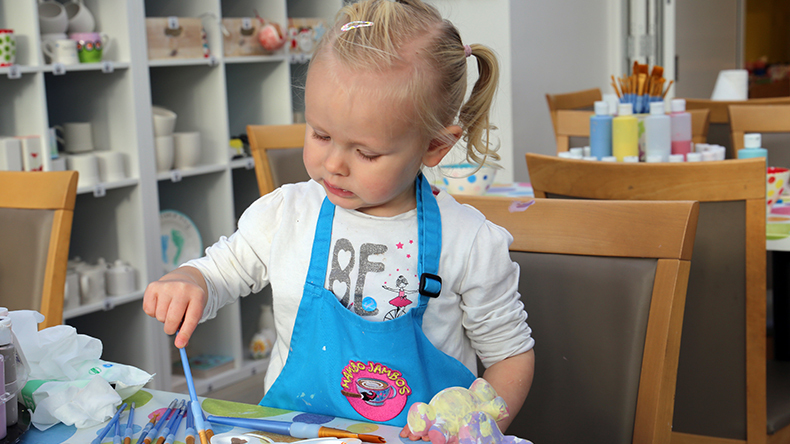 Have you always wanted to have a go at painting pottery but thought you weren’t artistic enough? Here at Mambo Jambos Pottery Painting Studio we have designed a range of patterns that are easy to re-create using simple techniques. 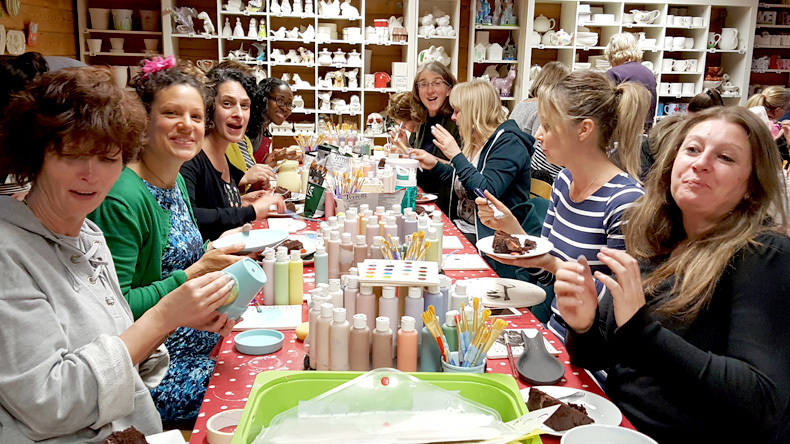 Join us at our new weekly classes throughout February and March for some fun, therapeutic painting and bring out the inner artist in you while creating some lovely pottery pieces with step by step instruction. Tickets cost £25 per class.